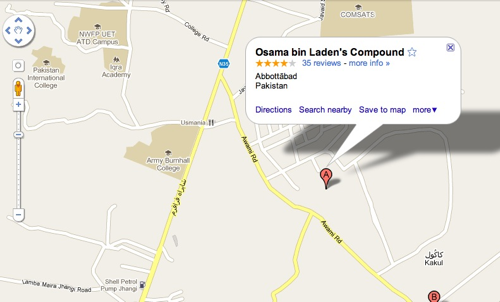 On 2nd May 2011, one day after Singapore Labor Day, US President Obama officially announced that Osama Bin Laden was killed in a joint raid overnight Sunday in Pakistan’s northwestern district of Abbottabad, some 40 miles from Islamabad. The town also is home to a Pakistani military academy. Two American helicopters took part in the operation, the official said. One Pakistani helicopter involved in the raid crashed after it was hit by firing from militants. 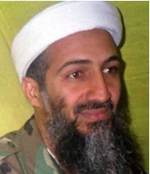 Osama bin Laden, the Saudi extremist whose al-Qaida terrorist organization killed more than 3,000 people in coordinated attacks on the U.S. on Sept. 11, 2001. After September 11, 2001 the U.S. spent to fight terrorism more than $ 1 trillion. This is stated in the report published by the American Congress.Compared U.S. spending on various wars over the past 230 years – since the War of Independence in 1776, and ending our days. The paper concludes that more cost Washington only Second World War. As it turned out, the total expenditure on combating terrorism was about $ 1.15 trillion. The report, while noting that the Second World War, for example, cost $ 4.1 trillion, adjusted for inflation, the Vietnamese conflict – $ 738 billion, while the invasion of Afghanistan and Iraq, where both the magnitude of which is less than the greatest conflict in human history , cost U.S. taxpayers $ 321 billion and $ 784 billion, respectively. 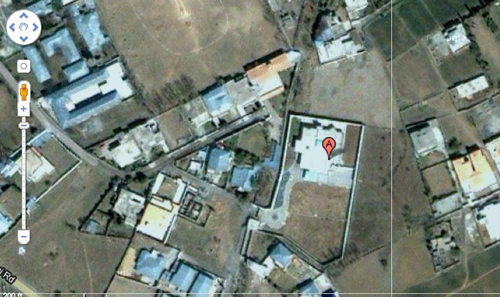 Shortly after the death report, Osama Bin Laden’s hideout place / compound is mapped on Google map within hours after the report. View in google map here. On the Financial Markets front, most major Asian markets advanced Monday as news of Al Qaeda leader Osama bin Laden’s death in a U.S. attack boosted sentiment, lifting Japanese and South Korean stocks sharply higher and pulling Australian shares off five-week lows. Singapore & Hong Kong markets are closed for the local holiday. This news should provide some cheers for the stock markets round the world and major US Indices – Dow Jones Industrial and S&P should test multi-year highs again. 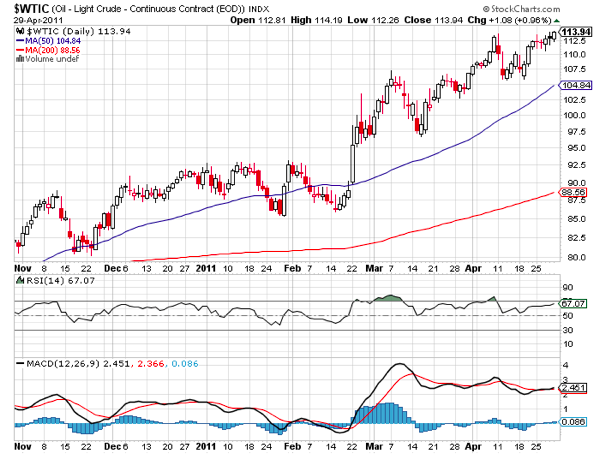 Last few months, the weakening USD has sent commodities prices to multi-year highs. With Osama Bin Laden’s death, there should be some selling pressure especially to Gold, Silver and Oil as the world risk aversion will be eased for the moment. 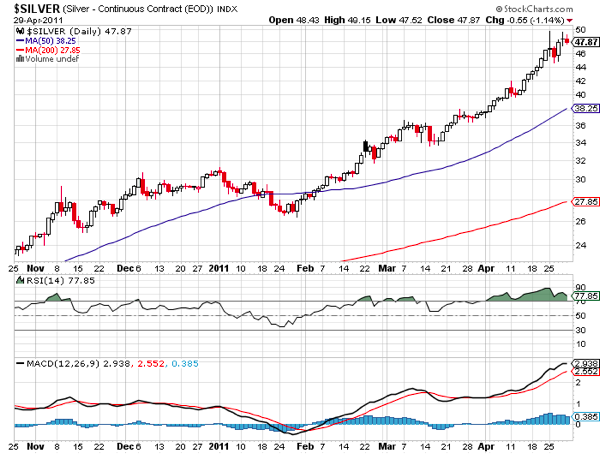 Gauging on the substantial overbought levels for all 3 commodities (silver especially), there should be some profit taking this week. 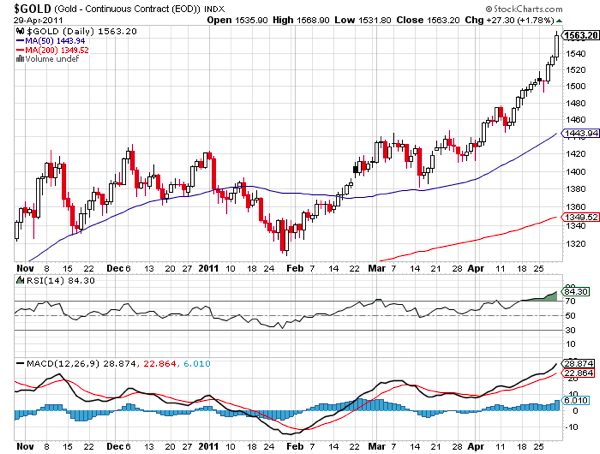 Key support for Gold will be $1540, Silver will be $45 and Oil will be $110.